A world-weary war photographer is hired by the Vatican to investigate a young woman's claims of a visitation by the Virgin Mary. 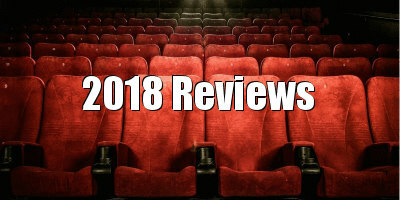 The congruity between religion and cinema gives rise to some of our most powerful movies: the biblical epic obviously, but also possession horror, which is dependent upon religious credulity (I’d imagine that The Exorcist works in different ways regarding the viewer’s personal belief system, for example). The religious-conspiracy thriller, however, has yet to gain such traction. On paper, the religious thriller, a text that takes as its impetus the machinations and intrigue behind organised religion, has the potential to fascinate as it deconstructs the administration of belief systems, yet cinematic realisations of such conspiratorial potboilers are left lacking. I mean, The Da Vinci Code is literally one of the most boring films ever made, and its sequel Inferno was a deserved flop (whereas the book, with its silly, airport thrills, was enjoyed by millions - me included. Come at me!). A crux which was understood way back when by Constantine I is that religion demands spectacle, and unquestioning faith in institutionalised creed requires at least the occasional lively demonstration. Xavier Giannoli’s The Apparition centres on the possibility of such a demonstration: an update of the St. Bernadette of Lourdes story, with the teenage Anna (Galatéa Bellugi) the subject of an investigation commissioned by the Vatican as to whether or not she has witnessed the Virgin Mary. Our protagonist, and way in to the byzantine procedures of Catholic inquiry, is world worn Jacques (Vincent Lindon), a war photographer who has seen the very worst of humanity and lost his partner in the process to boot. If anyone needs a bit of faith, it’s our Jacques. And so, we follow this stoic journo as he sits in and contributes to theological/existential discussions with the commission, forges a paternal relationship with the delicate Anna, and faces his own demons in the process. Throughout its (long, liturgical) running time, the film makes several observations concerning the commercialisation of Anna’s supposed experiences (immediately, there is all manner of tat manufactured - candles, t. shirts, etc - bearing her haunted image), the church’s diverse interests and exploitation of the girl, and the, rather touching, rush to believe by the faithful. There is a sense of authenticity to the minutia of the investigation; the laborious discussions, the forensic excavations of ‘evidence’, and subsequent debate concerning each plot development. But the problem with The Apparition is that it is just a film. Anna is no more ‘real’ than, say, Dr. Strange or Bruce the shark, and thus, all of the static conversations, ideologically interesting as they may be, are just that: dialogue. Imagine if Doctor Strange cut periodically to a S.H.I.E.L.D. office where some government bods argued the wheres and whys of Marvel cosmic magic for hours on end, or an airless transition to a marine biology lab where the migration patterns of the great white are poured and poured (and poured) over. 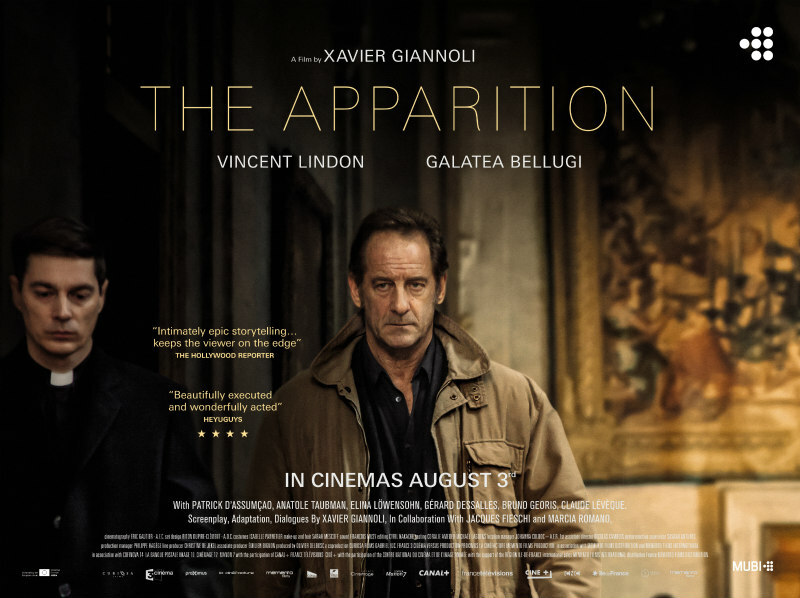 In The Apparition there is dialogue that informs us that there is "an exorcist in every diocese," which, if the suggestion was true outside of the film’s diegesis (a priest speaking on the record in a documentary, say), would be highly intriguing, but as far as the audience knows, the line has as much veracity as Paul Bettany’s mad monk in The Da Vinci Code. And yet, due to Giannoli’s fealty to verisimilitude, there isn’t really all that much drama in the film either. Anna either did see the Virgin Mary or she didn’t; The Apparition’s stakes run no higher than that. The ambition of The Apparition is to examine the providence of miracles, to untie the red tape and reveal the bureaucratic specifics that ratify such phenomena, and to encourage consideration of the real-world connections between man and The Divine. The problem is that by very definition, faith is belief without the requirement of proof, and, by fictionalising such a transaction, the film seems to misunderstand its own crux. The photography of The Apparition is classy, the dialogue thoughtful, and the performances convincing (esp Bellugi’s wide eyed saint). However, throughout the film I was chiefly reminded, in a manner surely unintended by the filmmakers, of that episode of Father Ted where the Holy Stone of Clonrichert is upgraded to a Class 2 relic by the Vatican. By the end of The Apparition you may well be fed up of such ecumenical matters. The Apparition is in UK cinemas August 3rd.